Previously, clicking the “Apply” button just reloads the screen, but with the new update it is now more evident that the decisions are being saved. Some students miss out on saving their decisions when they move onto a different screen or click away. So we have now added a new on-screen warning to notify students if a decision they have entered has been left unsaved. 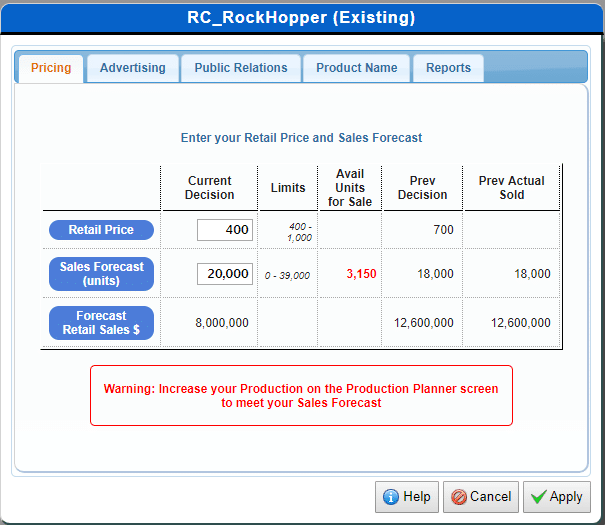 Students will now receive a warning when they have entered a high Sales Forecast, but their Production Quantity is lower. They will also receive a warning when their Planned Production Units is higher than their Sales Forecast. This warning message should not discourage students from launching a second product if they wish, but it just informs them of what this decision entails. 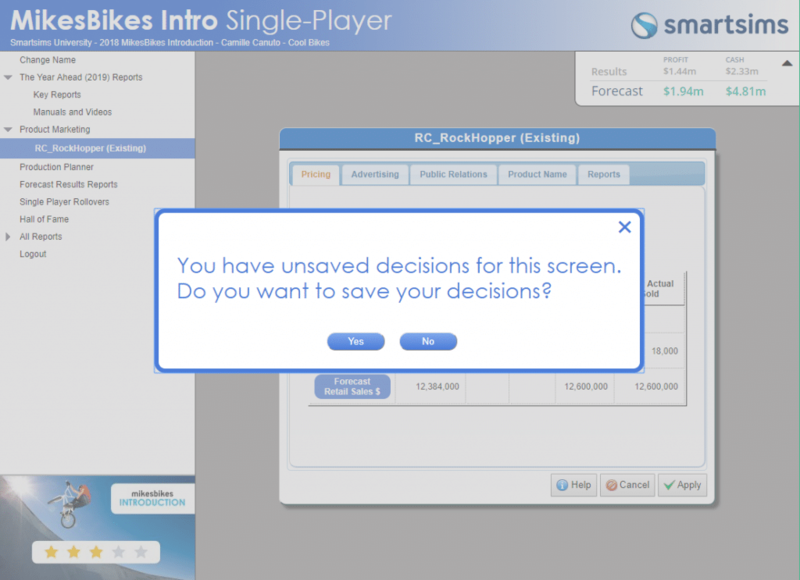 The decision screens which enable students to modify an existing product and launching new products now feature additional information to help students make more informed decisions. Previously students would need to navigate to the Market Information and Market Summary Report for this key information, but we have now placed it directly within the screen. Students will now see a short description of each option with the corresponding cost and benefit. The following are Smartsims product updates available from August 2018. Where product names are noted in the heading, that update only applies to these products. Smartsims Support Center Goes Live! 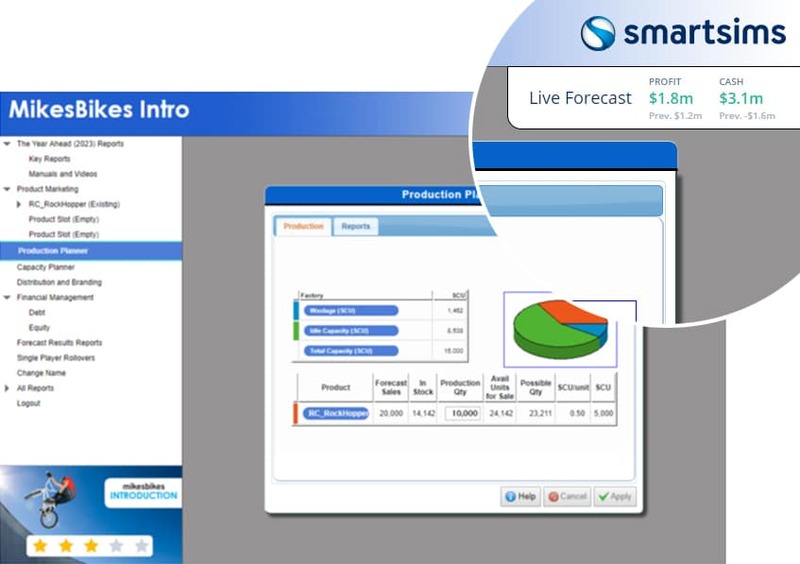 The Smartsims Support Center is our online knowledge-base for all simulations. This live resource enables users to find instant answers to their questions, as well as browse a wide range of help topics. The current articles available range from getting started, help with logging in and registration, through to guiding students on how to make decisions. Our new Live Forecast is located at the top-right of all decision screens and displays the two main metrics from the current Forecast Results Reports. 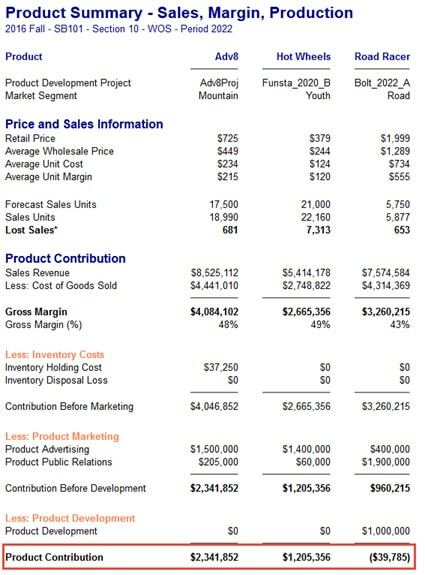 Music2Go Marketing: Forecast Marketing Contribution & Budget Remaining. These figures on the Live Forecast update in real-time as students click “Apply” on any decision screen. 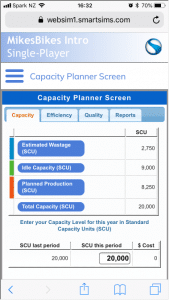 This enables students to easily see the impact of individual decision changes on overall performance. 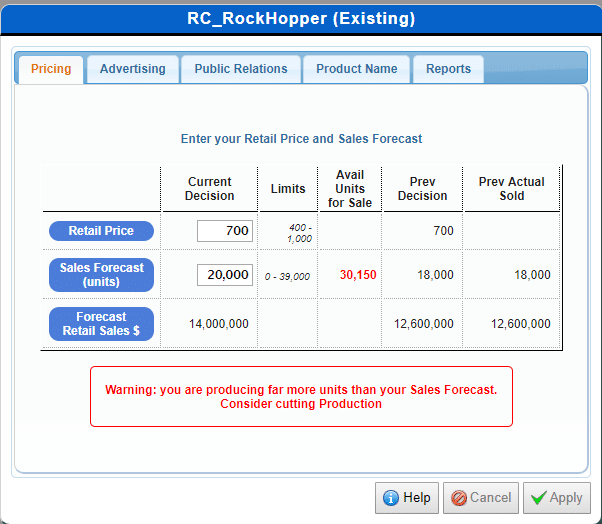 The figures can then be clicked to bring up the relevant forecast report in full. Previous figures remain in small font below. The new Live Forecast feature will help students make more informed decisions and provide an immediate warning if they have made poor decisions. The star rating students receive is based on their results from the previous year. A jump in Shareholder Value will result in an additional gold star achieved and vice-versa. We hope this will further motivate students to improve their performance each year of the simulation. Additionally, when students launch a new product, they can now edit the new product’s name at any time prior to the next rollover. If you have any comments or questions feel free to contact us. 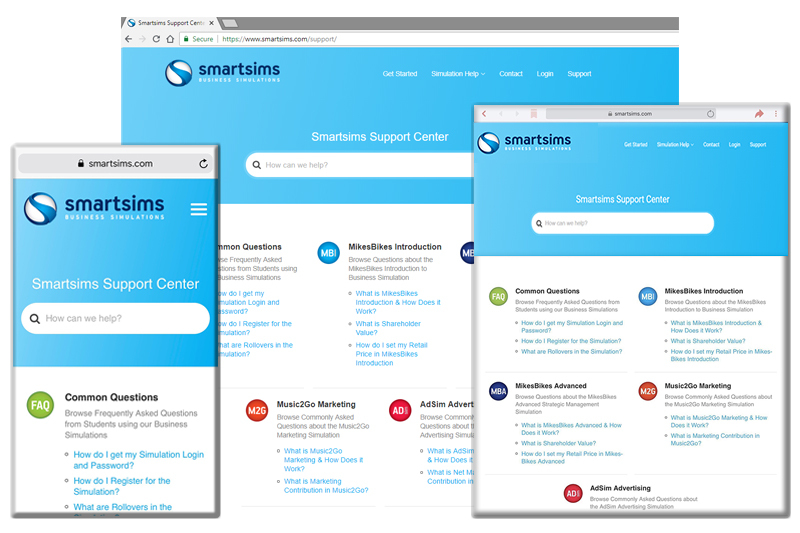 Press Release: Smartsims Support Center Goes Live! 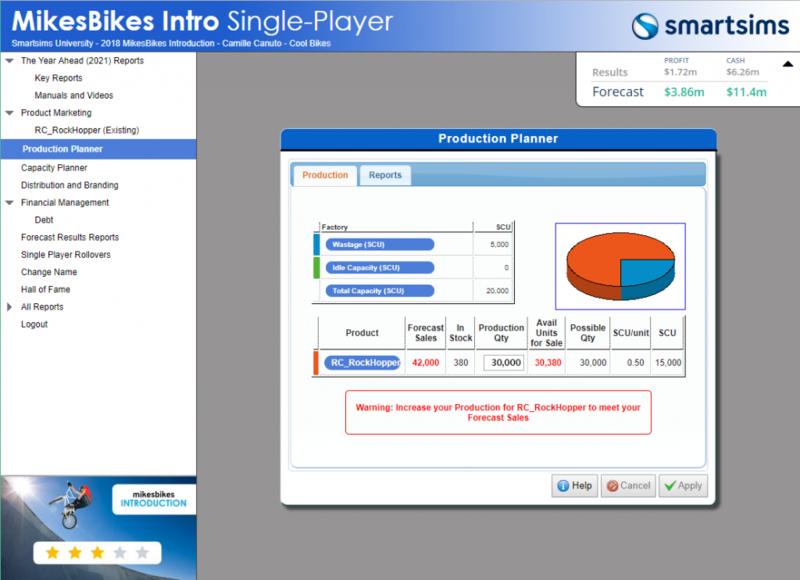 The Smartsims Support Center is our new simulation knowledge-base. This live resource enables our simulation users to receive instant answers to their questions, as well as browse a wide range of help topics to guide them through their learning journey. 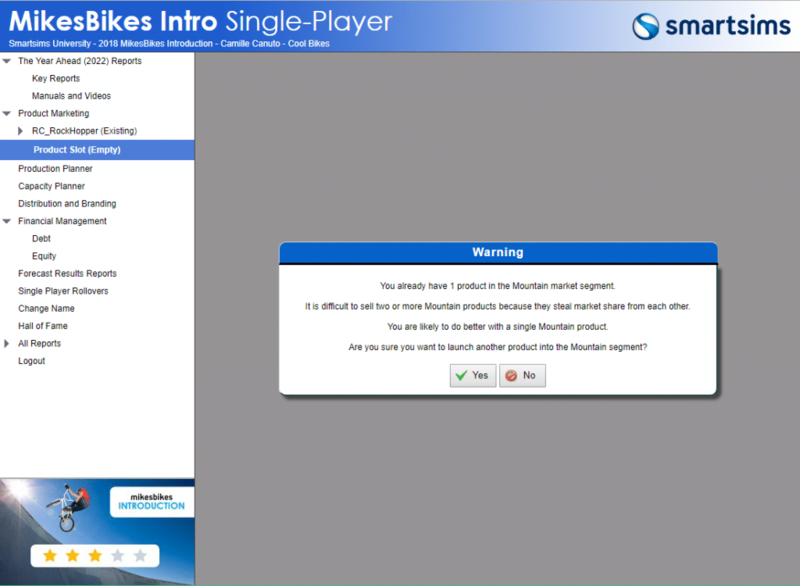 We recommend placing a link to the Smartsims Support Center in your Course Syllabus and/or on your Course’s Webpage. This proactive approach takes our current service offering to the next level in user experience. We’re now halfway through the year and exciting developments are coming your way! We understand that students have busy lives and are not always near their computer. So we have made it easier for them to check their results and update their decisions from their tablets and mobiles. They can access all the same decisions and reports as they can on their desktop browser. 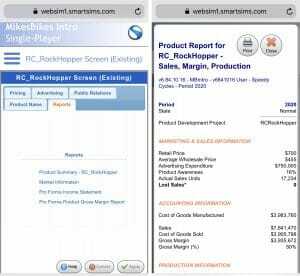 However, we have adjusted the tablet/mobile screens to show the most relevant content, the reports and scrolling are better suited to smaller devices, and a ‘Hamburger’ style menu makes it easy to navigate. When students are making decisions, they often need to review one or more reports which means they often have to leave the decision screen. So we have added a commonly-used reports tab to each of the decision screens. Selecting a report from the “Reports” tab will display the report as a pop-up over the top of the decision screen. This way students can quickly review key information and make an informed decision without having to leave the decision screen. We often receive emails from students requesting access to previous years’ reports. To make this accessible for students, we have now made historical reports available for them to access. This is available to them under the All Reports menu. A key requirement for many institutions is accessibility for students with disabilities. Our simulations work with JAWS and NVDA, two of the most common screen readers, to help vision impaired students navigate their way around. We also provide additional context information for the screen readers in the input fields. This is of great benefit to vision impaired students as they do not have to hunt around for the information they need to make their decisions. 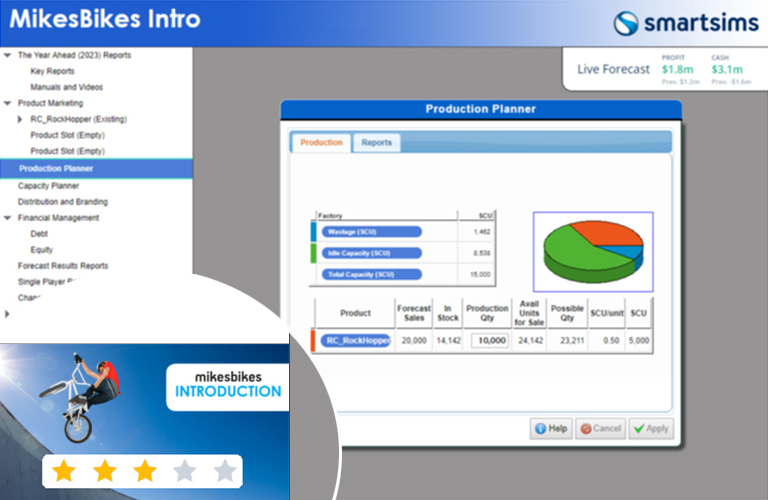 The Product Summary – Sales, Margin, Production has been shortened to Product Summary. 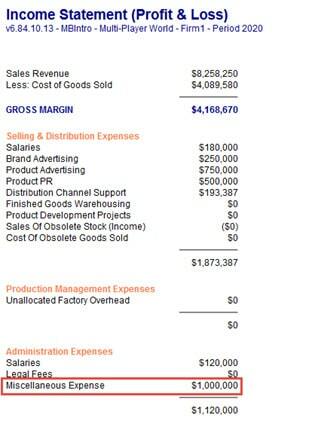 The Market Summary (All Product Details) has been shortened to Market Summary. 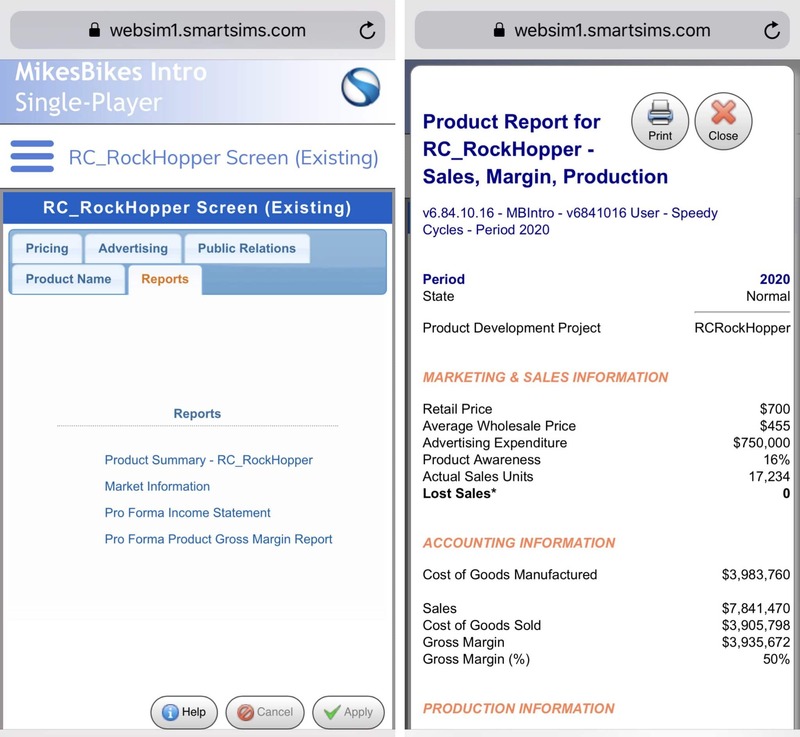 MikesBikes Advanced only: Financial Results for All Firms is now called the Industry Benchmark Report. Our MikesBikes users will know the little dog which has featured in the simulation over the years. It is with sadness we have retired “Cliks” and “Einstein” the dog. This older style feature simply does not gel with our current updated simulation interface, nor the upcoming new interface under development. The MikesBikes Dogs have been replaced with a new Performance Star Rating. Just a reminder that earlier in the year all simulation were updated to have a starting year / year ahead 2019 (reporting year 2018). The following MikesBikes Advanced updates will apply to new courses starting from 1 July 2018. 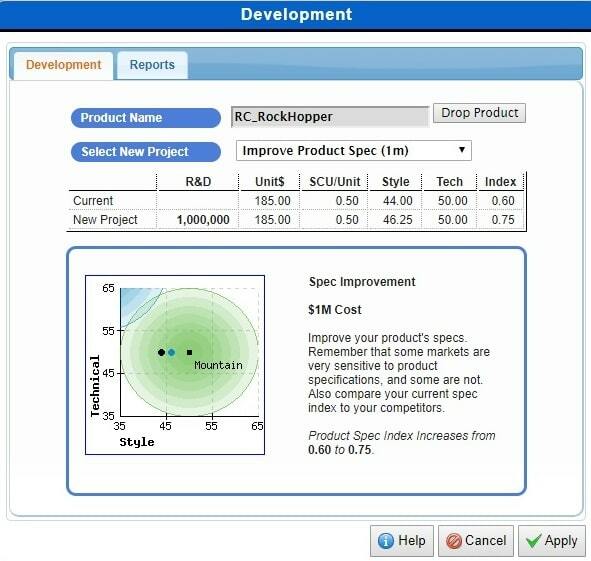 The current scenario enables students to develop as many new product development projects as they wish in a given year. Over time we have observed this can encourage some to undertake a very risky strategy where they rush to enter all new market segments in the first year of the simulation. Those who adopt this strategy often underestimate the significant expenditure required and put their company at a high risk of insolvency. Our belief is that an “all or nothing” approach to start the simulation should be discouraged. Rather, our team feel it would best to encourage more prudent and realistic product strategies by limiting the number of product development projects to two per year. This means students can still have a product in every market if they wish, but by drawing this out over the first three/four years of the simulation it encourages a more strategic start to the simulation. However, if this update conflicts with how you would like to use the simulation we can disable this on request. 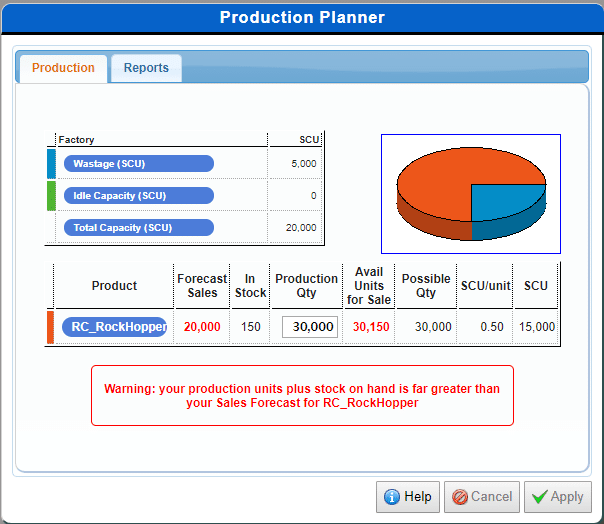 Currently the scenario does not limit the total number of products in a company’s product range. We believe it is reasonable to limit the total number of products to five (in the Multi-Player). This encourages students to focus their efforts on fewer successful products, while at the same time creating greater opportunity for mid/low performing companies to improve. This number is still sufficient for students to have a product in every market if they wish. However, if you would like to increase the limit we can do this on request. Unless we have arranged with you otherwise, all MikesBikes Advanced courses we will now have a double final rollover (meaning the simulation will rollover twice simultaneously). This eliminates the possibility of “end game” decisions, aimed at a single year performance boost at the cost of long-term success. A final double rollover ensures student’s final decisions leave their company in a healthy position. If you are interested in learning more see: What is a Double Rollover in MikesBikes Advanced and How Does It Work? Just let us know if you do not want a final double rollover for any reason. If you have any comments or questions please contact us. We are currently in the process of updating the simulation interface and as part of this process, the MikesBikes Dog will be replaced with a new way of giving students a quick indication of their firm’s health. As they say, some good things need to end for better things to begin. As we bid farewell to the MikesBikes Dog, let’s look back and see how it was brought to life. In 1997-98, we were introduced to Cliks, the MikesBikes Advanced Dog. The ‘smiley’ artwork in the original 1997 MikesBikes CD release was more of a simple Japanese cartoon style created by one of our programmers, James Saito. Screenshot from the original 1997 release. Around the same year, Dr. Pete Mazany, the founder of Smartsims hired Robert Chan as the graphic artist. Robert then created the MikesBikes dogs as Pete Mazany loved dogs and always had at least a couple around the office. We wanted a quick feedback indicator so students would immediately know how they were doing after a rollover, and the dog image was very well received. Students wanted to see what else the dog would do and it really helped with student engagement. It actually helps that the original style of the dog is fairly generic, but still endearing. Some people thought he was a bear, others though he was a goat. The success of the image is really in his facial expressions and the simple situations he is posed in. “Einstein the Dog” arrived soon after launch of MikesBikes Intro. Nara Paz created Einstein the Dog as a ‘fresher’ re-imagining of the dog concept in 2006, and we integrated these into MikesBikes Intro soon after. Although the MikesBikes Dog will be replaced, we will still retain its best elements: giving a quick indication of how the students are doing and providing them with something to look forward to seeing after every rollover. The fine directly impacts the firm’s profit, which feeds into Shareholder Value. Struggling firms need access to equity. Even bankrupt firms can issue 50% more shares at $5 / share to recapitalize. shares at $5 / share = $2.5m (making it slightly easier for them to recover). The simulation now allows for students to repurchase shares up to 20% beyond original 1 million share allocation. Eg. 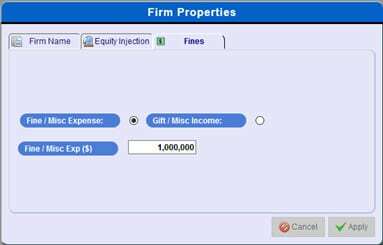 If you have 2 million shares issued, you could repurchase 20%, or 400,000 shares. When below 1 million, the limit remains at 10%. Eg. If you have 900,000 shares issued, you could repurchase 90,000 shares. The simulation now allows for students to repurchase shares up to 20% beyond original 2 million share allocation. Eg. If you have 3 million shares issued, you could repurchase 20%, or 600,000 shares. Below 2 million the limit remains at 10%. Eg. If you have 1.8 million shares issued, you could repurchase 180,000 shares. Firms can sell multiple products in a single market segment. This can work if student plans well. But it is often unintended and market share drops due to product cannibalization. 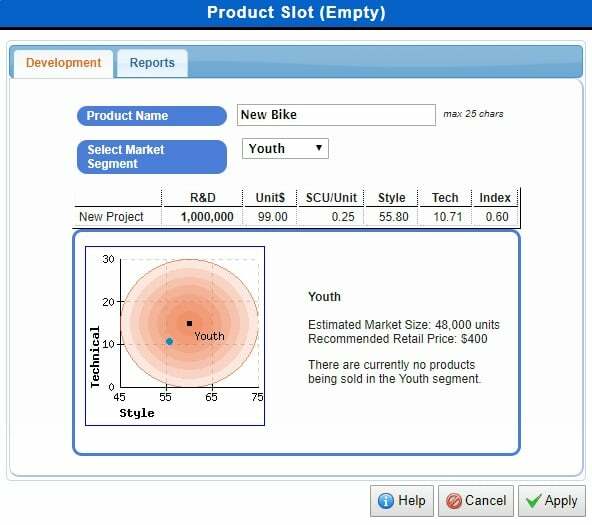 Instructors can now limit students to having at most one product in each segment. At the beginning of your course please let your account manager know if you would like your course set up in this manner. Sports segment around 40% larger, meaning firms have more room to expand as well a higher chance of generating larger revenue. Branding is cheaper to attain once Distribution and Branding decisions are available. 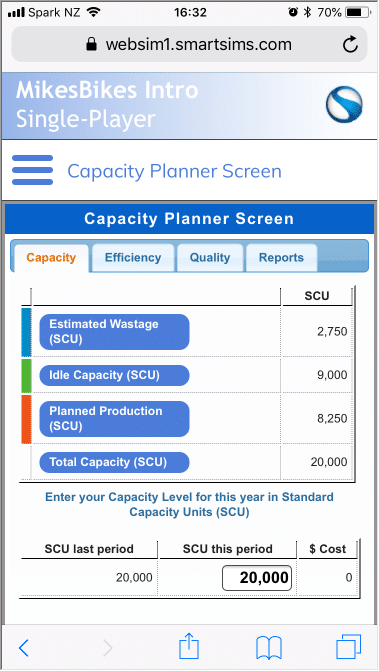 Efficiency is cheaper to attain once Capacity decisions are available. Road segment more sensitive to Quality and Product Specs. Bankrupt Firm Share Price improves faster. International Financial Reporting Standards (IFRS) are common outside North America, therefore to ensure relevancy to all schools these have now been included. 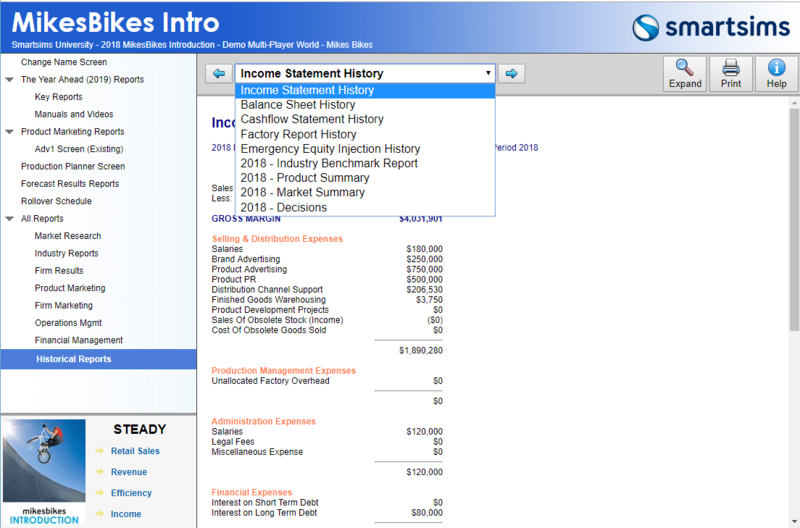 The reports have different names and layouts for Financial Statements.